Fundraiser to take filmmakers to Trinidad for film on Steelpan. The music of Trinidad & Tobago’s Carnival means a lot of things to different people. Soca and Chutney Soca get people to move; Calypso is a way to educate the public through an improvisational style; and Rapso brings a sense of the conscious word. As it is getting less common to hear this instrument on Carnival Monday and Tuesday, the steelpan still has a reason to grab the attention of many, specifically two filmmakers who aim to bring this style of music to the forefront: it’s an instrument made on the island. 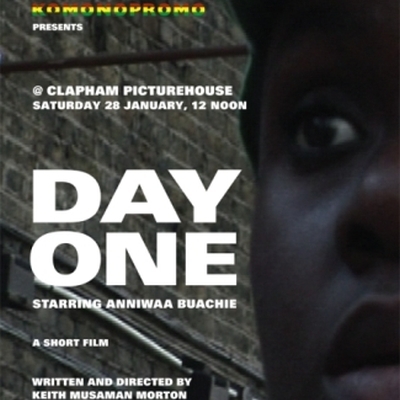 Award-winning filmmakers Keith Musaman Morton and Charysse Tia Harper have organized a fundraiser on Saturday, 28th January 2012, at Clapham Picturehouse at NOON. Both will be travelling to Trinidad next month to look at the origins and influence that the steel pan has on the rest of the world. This 45-minute event will showcase Morton’s films: Day One, a short about a woman making the decision to become sober, as well as A Brief History of Notting Hill Carnival. Morton will host the event as Harper is in the United States gaining support for the upcoming project. There will be an opportunity to purchase both projects, as well as the sound track after the event. Keith Musaman MORTON wrote and directed a 20-minute docudrama Day One, which explores the events leading up to a woman making the decision to begin her first day of drug and alcohol recovery. The short was filmed entirely in Brixton. Day One won the Audience Appreciation Award at the New York International Film Festival (2011). He also made A Brief History of Notting Hill Carnival with Lottie Pole. In addition, he hosted The History of Carnival Night every Monday in October 2011 to educate those on Trinidad & Tobago’s Carnival. Charysse Tia HARPER directed and produced The Other Side of Carnival, a 45-minute documentary that looks at Carnival in Trinidad & Tobago and how the event affects the social and economic conditions in the country. The film won the Best International Documentary Short at the ITN Distribution and Media Festival (2011) and Best Cultural Documentary at the New York International Film Festival (2011). Harper just finished Sin City, a journalist piece looking at those who work in the tourist industry in Las Vegas. Visit the Clapham Picturehouse for more information.